Perfectly updated, neutral, neat, and SUPER clean! 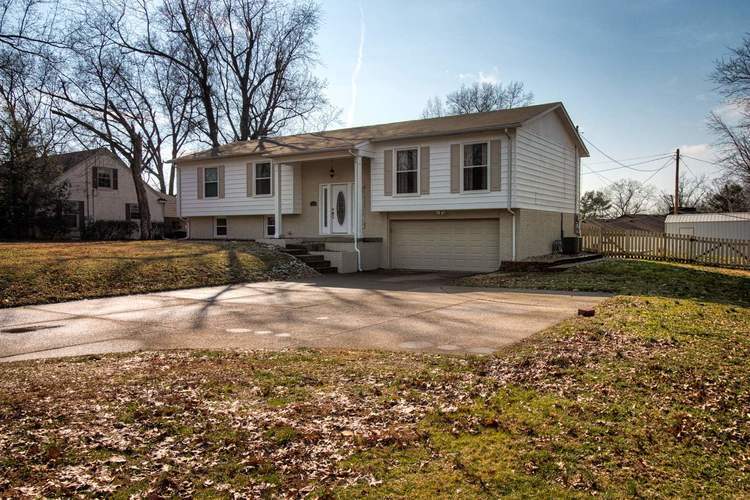 This spacious bi-level home on HALF ACRE LOT features many unexpected extras. Large inground pool with auto cover, new liner, and diving board will be the backyard oasis this spring/summer! Entering the home you will notice the new front door with sidelites, spacious foyer with new flooring, wide stairs to the upper or lower levels, new stairway banisters, and wood steps. Living room opens into the large dining area that expands into the totally remodeled and updated kitchen. Kitchen is loaded with extras such as new white cabinets, quartz counter tops, island bar with raised seating for two, under cabinet lighting, tile backsplash, new stainless appliances with over the range microwave and convection oven for the expert cook. Three bedrooms and two full bahts complete the upper level. Both bathrooms are nicely updated. Lower level is the perfect hangout with a large rec room with room for sectional sofa, entertainment center, and built-in cabinets for books or display items, and gas log fireplace. Sliding door to the patio and large aggregrate area around pool. Basement also features half bath (perfect for pool guests) and utility room for storage and washer/dryer. Two car basement garage and two additional parking spots out front provide lots of parking for cars. The home features lots of new exterior paint, interior paint and 6 panel doors, lighting, hardware, new A/C unit in 2018, and many other items updated in the last 3 years. Won't last long on the market! Directions:North on First Ave. R on Buena Vista Rd. L on Stringtown Rd. Second house on the left.